Have you wondered how they grow seedless watermelons? Well, wonder no more. This article will tell you exactly how to do it. Diane Relf of the Virginia Cooperative Extension states that watermelon should be grown in warm temperatures. Therefore, experts would probably recommend that watermelon plants be germinated inside a controlled temperature environment where the grower can keep the temperatures above 75 degrees Fahrenheit. Ms. Relf suggests the plants be placed in a sterile soil mix at a room temperature of 75 - 85 degrees Fahrenheit. Once the watermelon vine (or runners) are 6 to 8 inches long, they can be transferred to the garden area outside. Even then, the soil need to be at least 70 degrees Fahrenheit. 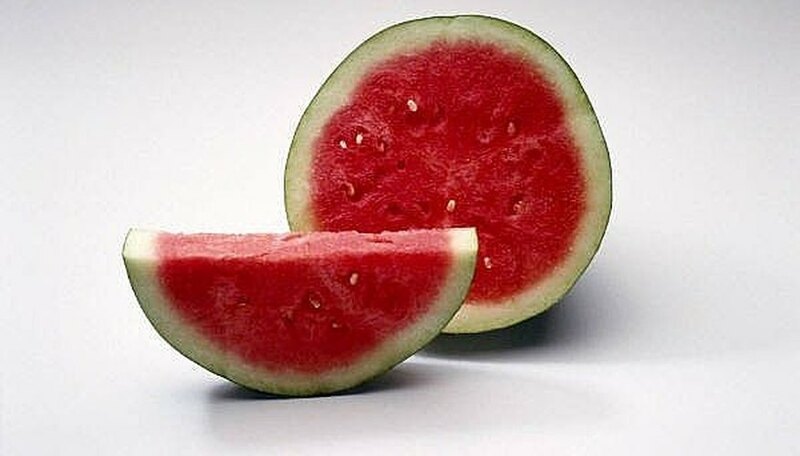 To get fruit, the seedless watermelon (called triploids) must be grown next to the regular watermelon (called diploid). The seedless watermelon is sterile and unable to pollinate by itself. Therefore, the regular watermelon assists in the pollination process for the seedless watermelon to get fruit. So, assuming you are doing a small garden, dig the holes where you want to plant the watermelons. In the first hole, plant a "regular or diploid" watermelon plant. In the next two holes, plant the seedless (or triploid) plant. Continue to alternate until all your plants are in the ground. Mark the planting orientation so you can distinguish your seedless watermelon from your regular watermelon once they mature. Your job is done! Now you know how to grow seedless watermelons. Sit back and in a couple of weeks, you can enjoy them. You will have the regular watermelons too, but you can give those away or sell them at the market. Watermelon grows in warm weather. If you cannot germinate indoors, Diane Relf recommend you wait until the soil is above 70 degrees Fahrenheit before planting. Experts say watermelon seeds are only good for about 12 months or less so if you don't plant them in time, you will lose them. When Should You Plant Fresh Watermelon Seeds?